Lee Lam has been in between Europe and Asia since birth, born in Paris and growing up in Vietnam before moving back to France for high school. In 2008, freshly graduated, he moved to Beijing for the Olympics and learning Mandarin. A short year after he moved to Shanghai where he created a music events and advertising agency which brought many diverse international acts to China such as Cut Killer, Gui Boratto, Dj Snake, Roger Sanchez or Booka Shade. In 2014 he created the first large scale indoor electronic music festival in China called Electric Circus and in 2015 the first Hip Hop & Urban Culture Festival in China named Spotlight Festival focused on showcasing local artists. 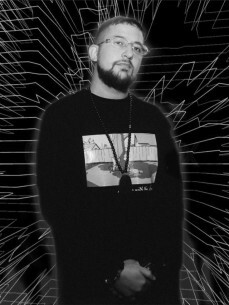 After following the south-east Asian music scene for many years, and seeing the explosion of Hip Hop, Lee made the decision to relocate to Saigon, Vietnam in 2016 and spent the following 3 years working with local artists and creating his own concept of a musical ecosystem composed of a music label Piu Piu Records, a nightclub Piu Piu and a concert hall Piu Piu L!ve as well as a multi-genre Talent Management Agency called Raw Talent. This ecosystem is a prototype to generate opportunities and profit for Asian underground artists facing specific issues to the developing underground Asian music scene while working to bridge the musical gap between Asia and the West by focusing on East-West collaborations. Since it’s start Piu Piu has launched 4 solo artists projects, created collaboration between American, French and Vietnamese Trap Artists as well as RnB singles and is in the process of finishing the first collaboration Album with gold-record French producer Nodey and the top Vietnamese rappers. Piu Piu Club has also hosted more than 400 artists showcases in the last 2 years including international acts Onra, High Klassified, Dj Vadim, Dj Angelo, Cut Killer, Airplane Boys, Friendly Fires, Soom T and many more.